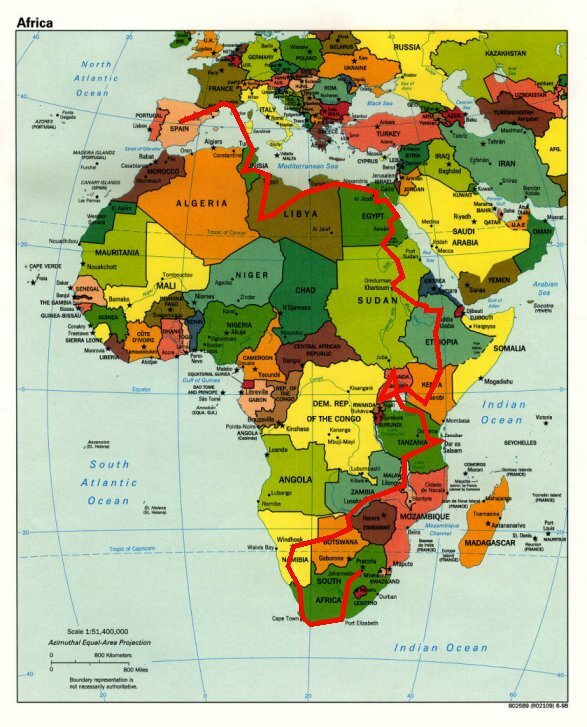 Our full route is shown below. Here are links to each country maps. The link on the right takes you the original, with no route markings, at the Perry-Castañeda Library Map Collection while the list on the left gives you the modified image with our route on it. Route, Trip Log & Map Pages courtesy of Rick Langdon, "Listmaster"